Any aspiring ASX company that can build a strong economic case for gold production in this current gold climate has our attention – as success has a lot to do with how economically viable exploration and potential production is. 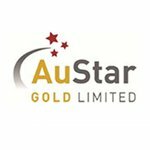 Today’s ASX stock last year acquired 95% of a promising high-grade project in Victoria, Australia known as the Morning Star mine. This has become its core project as the company moves away from its previous assets. Its aim is to revive the Woods Point Goldfield in east Victoria, a district with 6 million ounces of historical high-grade gold production, and where the Morning Star mine is located. 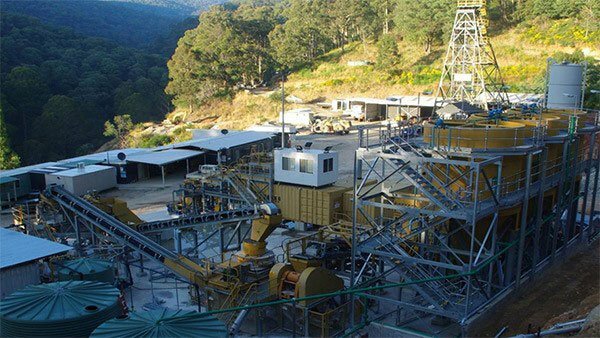 This $9.1M capped ASX company intends to become a sturdy gold producer, by keeping things simple and focusing on smaller projects that larger producers would find unworkable. It sees its success based on having the right people, working on the right acquisitions at the right time. This is a company that has over the past year changed its Board to one that has the skills and experience aligned with its new strategy, streamlined its cost structure, and put a strong technical emphasis on the advancement of a high quality gold opportunity with existing resources, a fully permitted plant and substantial exploration upside. Early indications are that this company has focused on the right project as Morning Star has historical production of 830,000 ounces of gold at 26.5g/t , along with many existing unexploited high grade zones. These zones include Stacpoole (has visible gold intercepts of up to 216g/t , a great initial opportunity for MNM), Kenny’s (has multiple high grade gold intercepts, including an absolutely outstanding drill hole intersection of 0.15m @ 17,608 g/t Au and others at 694g/t and 532g/t ) and 0.1 metres at 364.1 g/t Au and 0.3m at 82.0 g/t Au from the Burns reef. Morning Star has gone through two major mining profitability periods in the past and today’s company is hoping to restore the mine to its former glory. The company holds almost all the ground in a district with 6 million oz. of historical high grade gold production and has the only fully permitted plant in the region, with only minor works required to achieve mining and plant operation. This is a project with solid numbers and a significant history and is well positioned for near-term trial mining. In late October last year, the company we’re focused on today released drill results that confirmed attractive vein thickness and continuity of gold bearing structures, which are easily accessible including a newly-recognised east-dipping high grade zone intersected close to existing underground development to be followed up as a priority. A new board and management team with proven experience in profitable, high grade, narrow vein exploration, development and mining is now guiding this company into the future as it looks to transition effectively back into mining and processing of the highest potential gold bearing reefs. While the company still has an interest in its Norton gold project in North Queensland, and will complete technical studies and permitting, Morning Star is its main focus – meaning that for the first time since 2006, this company is 100% focused on one commodity alone. 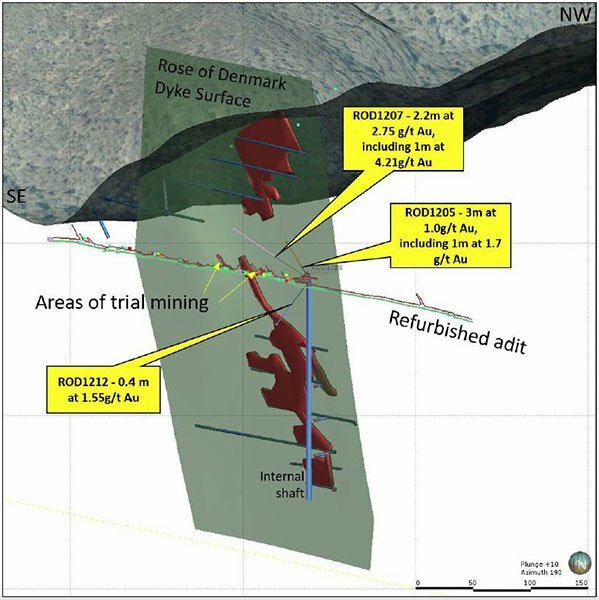 The company is also delivering results at a third mine; a JV collaboration known as the Rose of Denmark (MNM 49%, Shandong Tianye Group 51%) also located in Victoria, just 20km north of Morning Star, with underground sampling confirming extensions for known mineralised shoots with results including 1.4m @ 87.8 g/t Au . In total, this company’s mines represent almost 1 million ounces of Measured, Indicated and Inferred gold. Combine these facts with the current gold price of around AU$1,600 per ounce and this company is well placed to do some good with these Australian-based assets, particularly as the region has seen little exploration in the past 25 years. And as it continues to collate data and review Morning Star, along with surrounding tenements, it will look to develop high priority mining zones for an expedited return to production. This little company is now on a path to transform into a gold producer over the coming year – which is great timing given macro forces at work. The first week of January saw a solid gold recovery with estimates that this will continue throughout 2017. Couple this with a weakness in the Aussie dollar and you should get a positive impact on the bottom line of gold stocks. ...makes several boutique gold projects, dotted around Eastern Australia suddenly economic. Which is why Mantle Mining (ASX: MNM) is focusing on high-grade gold projects within the geo-political comforts of Australia. One only needs to look at another of our Next Mining Boom stocks, Blackham Resources (ASX: BLK) , to see how quickly a gold stock can move once it gets all its ducks lined up. A rising US dollar is helping to generate strong returns on gold priced in Aussie dollars, with profit margins growing steadily for all current mid-tier gold producers. With gold relatively settled despite fluctuations towards the end of 2016, and buoyed by currency fluctuations, MNM may be quietly confident of walking into a significant profit margin if and when production recommences. Interestingly a research report released in October written by Keith Goodes of ERA gave it a target price of $0.02, up from $0.01, highlighting the confidence MNM has in its new business structure and single-minded focus. However, it should be noted that broker projections and price targets are only estimates and may not be met, so never invest on price targets alone. MNM has one flagship gold project, and four smaller projects on Australia’s east coast. The Morning Star Gold Project in Victoria is its prime asset, whilst the Rose of Denmark project, just several kilometres away (not seen on the map below), and the Norton Gold Project in Queensland are smaller, but could also deliver results in the long-term. Granite Castle and Charters Towers are two further projects MNM have in their gold-focused portfolio. While it has several smaller projects on the go, MNM’s main strategy is to return Morning Star to its former glory as an advanced high-grade gold exploration play, with substantial infrastructure, an existing tenement footprint and high gold discovery prospectivity. The name of the game is to take this high-grade project and progress and commercialise it sustainably without complications. Morning Star is historically one of Australia’s largest and highest-grade gold mines and bringing it back online is MNM’s key focus right now. The Woods Point/Walhalla gold field, which feeds Morning Star, is reported to have produced nearly 6 million ounces of gold since the 1860s. Meanwhile, the Morning Star mine acquired its name from being one of the brightest gold deposits in Australia, and has reportedly produced in excess of 800,000 ounces of gold , at an average grade of 26.5g/t . The picture below shows Morning Star in all its glory, and the great news for MNM is that it’s on the cusp of coming back online after previous owners MCO went into insolvency having targeted the down dip sides of a number of reefs which when developed, found they were uneconomic. MNM believes, through the new application of robust geology re-interpretation and using modern computer modelling techniques, it has hit the sweet spot and is looking at a number of reefs that are yet to be fully exploited. MNM acquired the Morning Star Mine in an opportunistic purchase via the acquisition of Morning Star Gold NL in May 2016. This asset has a new 80,000tpa high grade gold processing plant and other supporting infrastructure already in place and is expected to need low capex requirements to restart production. One clear advantage for MNM, is that Morning Star remains the only permitted processing plant in the region which serves as a key strategic competitive advantage. Processing ore from other miners could deliver additional cash-flow over time, and can support MNM’s operations. The Morning Star acquisition was a $200,000 down payment followed by three tranches of $1 million each (on 30 June 2016, 31 October 2016 and 28 February 2017). This progressive scale-in strategy allows MNM to keep development costs low, and only spend money when there is a justification to do so. Bottom line: MNM has bagged an asset worth around $11.6M, but will only end up paying ~$4M as a net buyout fee, and that’s if it meets all its aspirational milestones through to 2017. After that, there is only a 1% gross sales royalty to be paid. Of course whether MNM meets its milestones for the year remains to be seen, so investors should take a cautious approach to their investment decision and seek professional financial advice. History suggests Morning Star sits above significant mineralisation, so the trick for MNM is to proceed carefully and pick out the best possible drill targets. The near-surface Stackpoole Zone has been re-interpreted and with past mining in its immediate vicinity of 40 g/t gold , and visible gold intercepts of up to 216g/t , shows great initial opportunity for MNM. Kenny’s Zone possesses multiple high grade gold intercepts, including an absolutely outstanding drillhole intersection of 17,608 g/t and others at 694g/t and 532g/t – not “one-offs”. The Burns Zone is also shaping up well based on solid geological interpretation and new assay results from 2012. In late October, MNM released drill results that confirmed attractive vein thickness and continuity of easily accessible gold bearing structures. It also found a newly recognised east-dipping high grade zone intersected close to existing underground development, to be followed up as a priority, returning 0.6m at 21.2g/t gold in drillhole L4001 . [email protected]/t gold in drillhole L4013 . Stacpoole reef geometry and drill results are similar to Whitelaw’s reef, which had historical production grades of 22 to 67 g/t gold . Furthermore, new underground drill results and previously unreported sampling results from Rose of Denmark confirm extensions of known mineralised shoots with results including 1.4m @ 87.8g/t Au , [email protected]/tAu , including [email protected]/tAu in drillhole ROD1207 as seen below. In late November, MNM released results from over 1150 previously unreported samples that reinforced the existence of high grade mineralisation yet to be mined from Morning Star and Rose of Denmark gold mines and the reefs within, including the prominent Maxwell and Stone Reefs. These results are now being incorporated into the already extensive drilling and sampling database as part of the ongoing Morning Star data compilation and show the existence of high grade gold mineralisation. 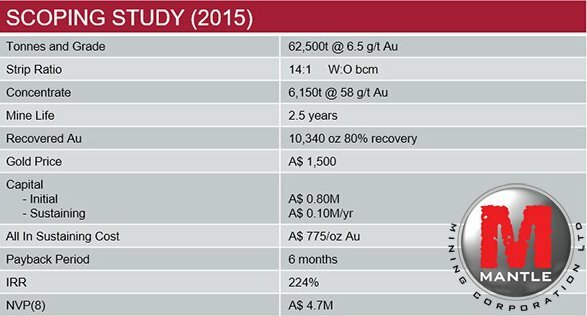 Grab samples from Burns Reef and Maxwells Reef show 1,341g/t gold in U9056 and 207.1g/t gold in U8525 respectively. MNM is continuing its review of the Morning Star mine and broader tenement area, with a view to identifying the highest priority reefs and approaches to expedite a return to production. 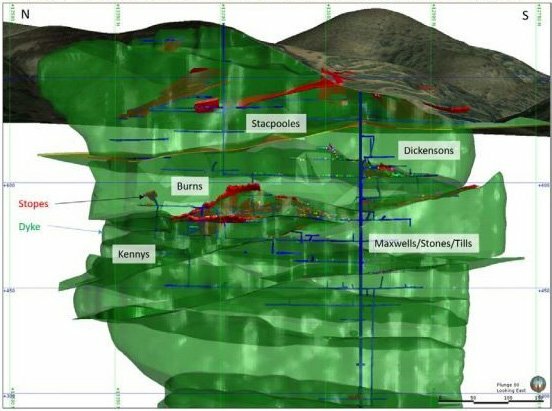 The Norton mine was MNM’s most highly explored project before it changed its attention to Morning Star with a Scoping Study for Norton indicating a total 248,000oz Resource at 4.9g/t Au and 38,000oz Au. Note that this Study was only focused in the main on the surface minable component of the deposit, to allow for the development of an initial surface mining operation. Despite being overtaken by Morning Star as MNM’s main priority, in Norton, MNM has its hands on a small, yet potentially high-grade asset with a strong upside for resource expansion and is focused on bringing its metallurgical work to a conclusion. MNM is waiting on receipt of its final metallurgical report, seeking environmental approvals and will then consider its options. Some gold explorers seek out large surface gold projects that could potentially hold millions of tonnes, but at the same time, larger projects require more invasive exploration and processing techniques, involving cyanide and other toxic chemicals. This has prevented mature gold producers from seriously jumping into Australia’s eastern heartlands — but for a small and resourceful explorer that wants to produce around 30,000oz of very profitable gold per year, there is no need for complexity and huge exploration programmes. MNM plans to rely on simple processing techniques that avoid many of the harmful chemicals and with a negligible impact on the environment. For large producers such projects are too small to be valuable given their overheads. But for MNM, small high-grade projects are its bread and butter — with a 3-star Michelin-rated mining crew standing by. MNM only needs to get its mines back to production-ready status, for production to begin and for revenues to commence. MNM has the right people and the right mines, at just the right time. 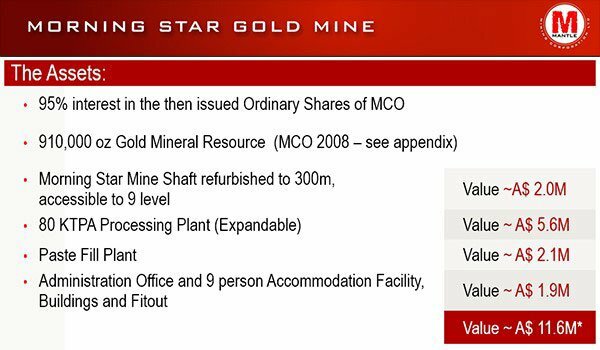 The Morning Star project is high-grade gold and in the sweet spot in terms of size. The people managing MNM are experienced and know what they are doing. And it’s the right time because historic cash flows amongst gold producers, have not looked this good for almost 20 years . MNM is taking a slightly alternative route to gold production and positive cash flow — by focusing on a single commodity with its main asset situated on historically productive ground. Of course, it should be noted that commodity prices do fluctuate and caution should be applied to any investment decision here and not be based on spot prices alone. Seek professional financial advice before choosing to invest. When you have centuries of combined gold mining experience, gained from the same region and geology as Morning Star does; this gives us confidence that this speculative stock may well be worth the speculation. MNM’s exploration team will also use modern processing techniques to run its mined ore through several processing stages — and given their strong understanding of the gold production process, we think MNM’s future has been somewhat de-risked. ...but using MNM’s simple and straightforward approach, those projects suddenly move to within reach. All things considered, we think now could be the time to put your drill bit into this Mantle.